The Barboza Space Center is training Jr. astronauts, engineers and scientists in Long Beach, Santa Monica and Downey, California. From time to time we receive notices about projects for college level students and we like to keep our readers informed. 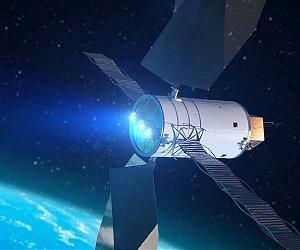 NASA’s Game Changing Development Program, managed by the agency’s Space Technology Mission Directorate, and the National Institute of Aerospace are seeking novel and robust concepts for in-space assembly of spacecraft – particularly tugs, propelled by solar electric propulsion, that transfer payloads from low earth orbit to a lunar distant retrograde orbit. Image courtesy Analytical Mechanics Associates. For a larger version of this image please go here. In the 2017 Breakthrough, Innovative, and Game-changing (BIG) Idea Challenge, NASA is engaging university-level students in its quest to reduce the cost of deep space exploration. NASA’s Game Changing Development Program (GCD), managed by the agency’s Space Technology Mission Directorate, and the National Institute of Aerospace (NIA) are seeking novel and robust concepts for in-space assembly of spacecraft – particularly tugs, propelled by solar electric propulsion (SEP), that transfer payloads from low earth orbit (LEO) to a lunar distant retrograde orbit (LDRO). “GCD initiated the BIG Idea Challenge in 2016 as a unique approach to finding top talent for NASA, and it proved to be more successful than we had hoped,” said Mary E. Wusk, acting GCD program manager at NASA’s Langley Research Center in Hampton, Virginia. “In last year’s challenge, students from across the nation proposed innovative solutions to the technology challenge of controlling a heat shield upon reentry, Wusk said. Why is this important? 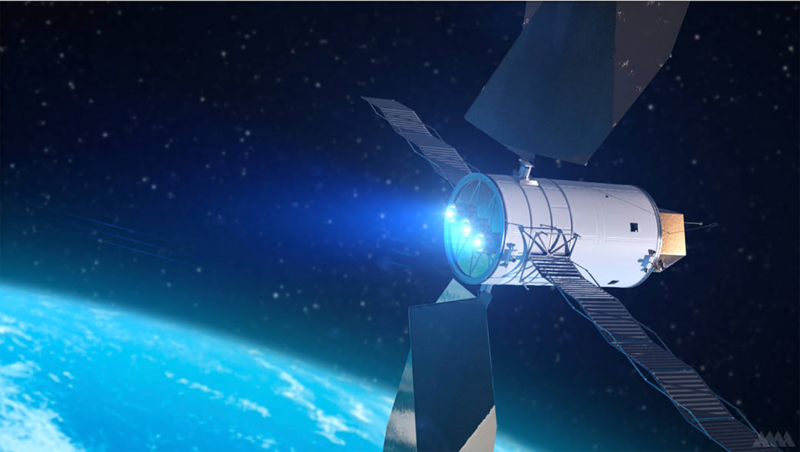 Think: ‘Reduce, Reuse, Recycle.’ Combined with advances in robotic technology, SEP tugs (i.e., transportation systems) enable NASA to move toward the use of more modular space systems that can be assembled into functional space craft hundreds of thousands of miles from Earth. The modular design also allows for upgrades, replacement of components, and reconfigurations for new mission application. + Robust robotic assembly of the modules that form the SEP tug. Interested teams of three to five undergraduate and/or graduate students are asked to submit robust proposals describing their concepts by Nov. 30. From these proposals, a panel of NASA experts will select four teams to move to the next phase of the competition. Teams will then have to submit full technical papers on their concepts and present their concepts in face-to-face oral presentations/design reviews at the BIG Idea Forum at NASA Langley in mid-February 2017. Each finalist team will receive a $6,000 stipend to facilitate full participation in the forum. BIG Idea Challenge winners will receive offers of paid internships with the GCD team at NASA Langley, where they can further develop their concept.